We are based in Corpus Christi and serve all of the Texas Coastal Bend region. When legal issues arise, you are likely frightened and frustrated. Whether you are faced with a family law matter, have been injured in an accident, or have been charged with a crime, you need adequate legal representation at all stages of your case. The Bourlon Law Firm is an experienced Texas law firm that has the expertise and resources to provide you with both zealous legal advocacy and personalized representation. If you are dealing with a legal matter, contact us to discuss your unique needs and determine your next move. We will review your case and help you discover what the best options are for you and your loved ones. Family law issues are incredibly sensitive, and they have the power to drastically change the lives of everyone involved. Few things can be more emotionally and financially draining than a family law case, and often those involved disagree on how the matters at hand should be resolved. If you are facing a family law issue, it is important that you have seasoned legal representation on your side. Without adequate representation, you could watch your family unravel right before your eyes. Divorce is a challenging time for a couple; separating property and learning to live independently can seem daunting. 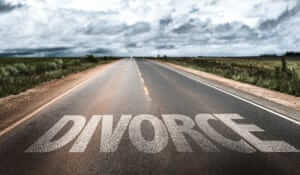 However, you can make the divorce process as simple and straightforward as possible by working with an experienced family law attorney in Texas. The Bourlon Law Firm has represented clients in both uncontested and contested divorce cases and can provide you with the high-quality representation and personalized service you need for a successful dissolution of marriage. Meet Texas divorce attorney Bobby Bourlon. Since 1997, Bourlon has helped families resolve marital conflicts. 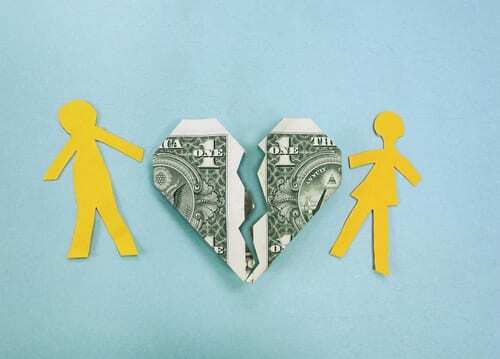 Ending a marriage is a major life decision with serious emotional and financial consequences. This period of transition is likely to be incredibly challenging and stressful, even if your separation is mutual. The choices you and your partner make about ending the marriage will greatly impact your future. In order to reach a fair and equitable divorce settlement, you must have knowledgeable and supportive legal representation to protect your rights and interests. The Bourlon Law firm has extensive expertise in family law and the legal procedures and statutes unique to Nueces County. We understand and respect the sensitivity involved in family matters and pride ourselves on being a compassionate advocate for our clients. If you’re ready to talk about your options for yourself and your family, schedule a free consultation today with lead attorney Bobby Bourlon at (361) 289-6040. Mr. Bourlon will be personally involved in every aspect of your case – from the initial consultation to filing the divorce petition to negotiating a settlement through mediation, and, if needed, going to trial. Whatever issues may arise, Mr. Bourlon is skilled at finding a solution to any problem. You will be in good hands. To be eligible for a divorce in Texas, you must have been a resident of the state continuously for six months, and a resident of the county where you intend to file for 90 days. Once eligibility has been established, you must file a petition for the dissolution of marriage with the District Clerk’s Office at your local county courthouse. The filing fee in Nueces County is $242. The petition will include information related to marital property, children and the grounds for divorce. Since Texas is a “no-fault” state, neither you nor your spouse needs to assign “blame” or misconduct for the dissolution of the marriage. Once the petition is filed with the court clerk, you must give your spouse “legal notice” that you have filed for divorce. If you have formally served your spouse, he/she has 20 days to provide a written response to your complaint. If your spouse does not agree with all of the items outlined in the petition, an “answer” will be filed declaring that he/she wants to retain certain rights. This sets the stage for a contested divorce. If your spouse agrees to the terms of the divorce and signs the waiver, this indicates that the divorce will be uncontested and is not headed for trial. You and your partner will work together to resolve all conflicts that stand in the way of dissolving the marriage. Fast Divorce in Texas: On average, an uncontested divorce will take 90 to 120 days. 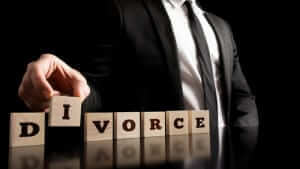 An experience divorce attorney is needed for an agreed divorce to resolve those issues. 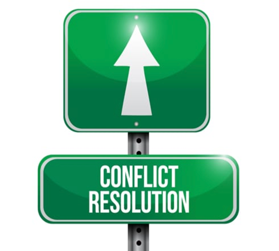 Through negotiation in an agreed divorce, these issues are resolved without going to court. This negotiation usually requires both spouses to resolve all issues without hostility and create an acceptable good faith arrangement. Once the divorce is filed, they must wait 60 days for the divorce to be approved by the court. The court will usually finalize the agreed divorce quickly as long as the agreement appears fair to each party. It is important that the negotiation of the terms of the divorce is overseen by a divorce attorney who can protect your property and custodial rights. Bobby Bourlon has background in the community property and custody laws in Texas, which will assist you in your negotiation for an agreed divorce. As an experienced Corpus Christi divorce attorney covering Nueces County, he will look at the proposed terms and suggest changes or amendments. The agreed divorce will be final, so you should make sure that all of the terms are satisfactory and protect your interests. If you are concerned about cost, there is flat fee pricing on agreed divorces, and payment plans are available. Please call today for a free consultation at 361-289-6040. An agreed divorce is settled quickly between the spouses, but a contested divorce may result in a court trial to settle disagreements. In some cases, a contested divorce can still be resolved without the time and expense of a trial. When the spouses still have differences, but are willing to negotiate, they may participate in a contested divorce with mediation. In a trial the judge and jury will assign value, community property status and division of assets. 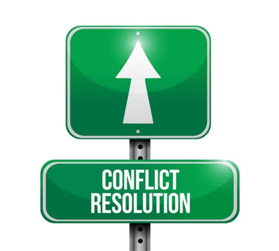 When in mediation, the spouses can make these decisions for themselves as long as they reach agreement. A third-party mediator, often an attorney, can guide the discussion and assist in providing valuation and fair division of assets. The advantage of mediation is that it offers the chance for a compromise that satisfies each spouse, rather than risk the unknown outcome of a trial. Nonetheless, even with mediation, an attorney should represent your interests and make sure that any agreement is fair and equitable. 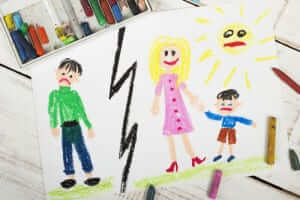 The rules surrounding separate and community property are complex, and the decisions about child custody and support may have impact for many years. 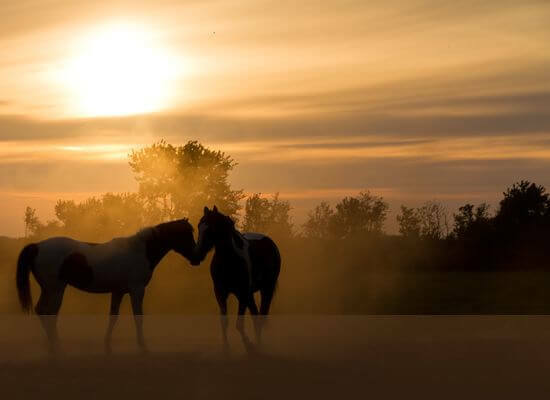 For these reasons, you will require an accomplished divorce attorney like Bobby Bourlon to guide you in the mediation process and help you reach an outcome that avoids trial and protects your marital interests. Attorney Bourlon in Corpus Christi covering Nueces County who offers flat-fee pricing on divorces. Payment plans are available if needed. Call for a free consultation at 361-289-6040. 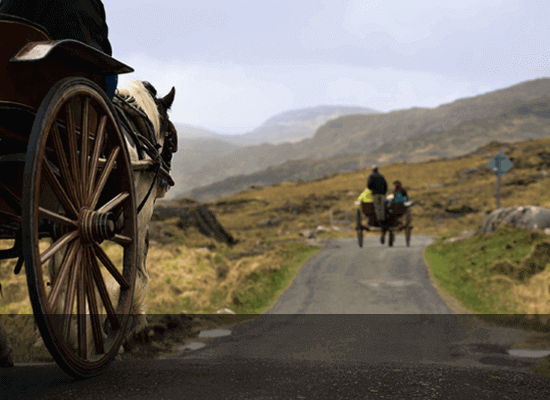 A contested divorce where the parties cannot agree on the terms may need to proceed to trial. While a trial is a more costly option, sometimes the degree of animosity or contention makes a negotiated agreement impossible. In this case, each party will have to retain an attorney to represent them at trial and seek the best outcome possible. The division of assets is one of the most contested areas in any divorce. Since Texas is a community property state, it is important to determine which assets qualify for that designation. Because of the discretion granted to both judge and jury in a divorce trial, representation by an expert trial attorney is essential. Bobby Bourlon has the experience in both divorce law and jury trials to make certain that your position in the divorce is effectively advocated to the jury. Do not allow your future and finances to be compromised. Is your spouse missing? Learn more about divorcing a missing spouse. Are You Involved In A Military Divorce? Bourbon Law Firm represents military personnel and their spouses all over the world in divorce cases. Military divorce procedures can be more complex that civilian divorces because they are governed by state laws and federal laws. Whether you are a member of the military or a military spouse, Mr. Bourlon can help you navigate how the laws will affect you and develop a strategy for a favorable outcome. At Bourlon Law Firm, we are committed to helping families resolve legal disputes during difficult times. Don’t wait another minute to start rebuilding your life. Give us a call today (361) 289-6040. 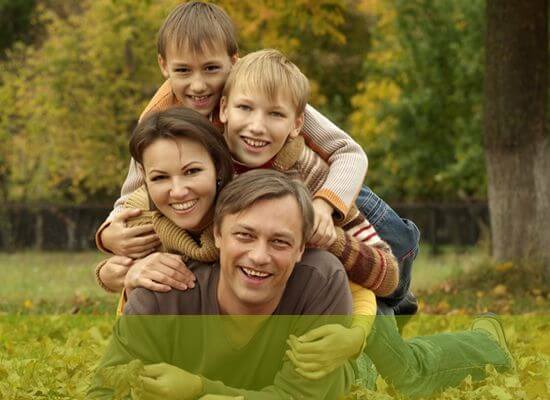 We offer affordable flat fee arrangements for all family matters. Payments plans are available. Between the day your spouse is served and the date the court assigns for your temporary orders (usually two to four weeks), Mr. Bourlon and your spouse’s attorney will try to negotiate temporary orders in lieu of a hearing. Assets and Liabilities: What’s At Stake? After each party has obtained valuable information during discovery, there should be an earnest attempt toward resolving the issues through a settlement. As your lawyer, Mr. Bourlon can effectively and passionately engage in direct negotiations with your spouse’s attorney on your behalf. There is an opportunity for you and your spouse to take part in mediation — a process involving a neutral third-party mediator. The mediator facilitates agreement on contentious issues with the hope of achieving dispute resolution. Mediation provides a non-adversarial environment to discuss division of property, parenting arrangements, child and spousal support. Do you really want a court or jury to make those decisions for you? Are We Going To Trial? If negotiation and mediation fail, either party can request that the court set the case for trial. 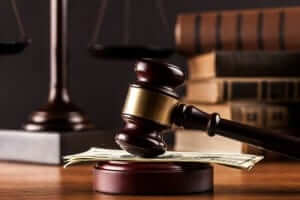 A trial can be before the court or before a jury upon request. At Bourlon Law Firm, we strive to achieve successful outcomes in negotiation or mediation to save you time and money. If we need to go to trial, we will be well-prepared and will aggressively fight for your rights. Texas is one of only nine states that enforces community property rules. This means that any property or assets acquired or income earned during the marriage will be split equally between both spouses. Similarly, all debts incurred during the marriage are the responsibility of both parties. Despite the community property law’s recommendation for 50/50 distribution, the court has the right to adjust the division in whatever way they believe is fair. At any time in the process, you and your spouse have the opportunity to negotiate a settlement of property and submit it to the court for approval. A spouse who wants to keep an asset free of equal division must convincingly prove that it is separate property. Separate property is anything that either of you owned before marriage or acquired after your separation. It could also include gifts given by a friend or family member to one spouse alone, or an inheritance bequeathed from a relative. 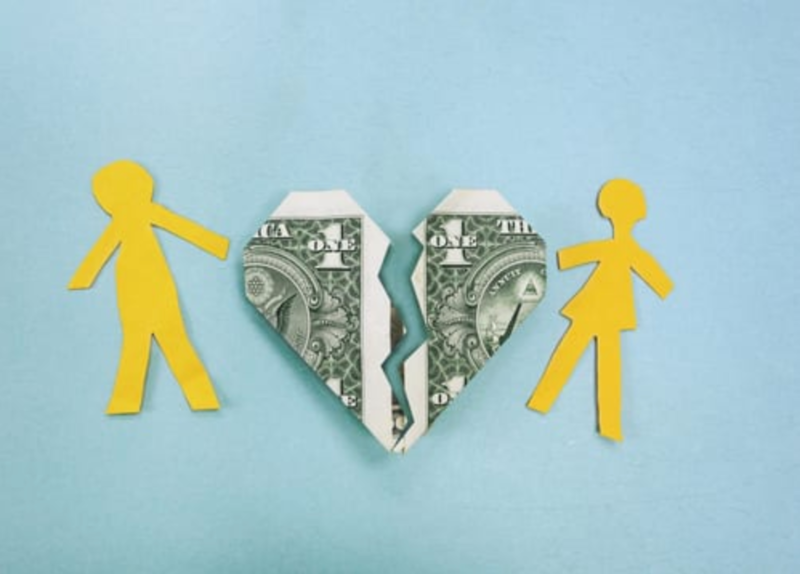 In Texas, alimony is referred to as “spousal maintenance,” or the responsibility of one spouse to financially support the other after divorce. This only comes into play if the division of property settlement did not provide one spouse with enough property to adequately meet his/her minimum reasonable needs. 1) The spouse seeking maintenance must prove that he/she is unable to earn sufficient income due to a physical or mental disability of either themselves or of their child; or they have been married to the other spouse for 10 years or more. 2) The paying spouse must have been convicted of an act of family violence as defined by Texas law either within the last two years of marriage or while the divorce suit is pending. Despite a spouse’s eligibility, the spouse may not be granted spousal maintenance. A spousal maintenance reward will include a monthly payment of either 20% of a spouse’s net income or $5,000 – whichever is lower. 30 years or longer equals ten years of support. In every scenario, the family courts will always act in the best interests of the child. Conservatorship determines the rights, responsibilities, benefits and burdens of the child/parent relationship. There are two types of conservatorships in Texas: managing and possessor. In Texas, a “joint conservatorship” is presumed to be in the best interests of the child. This arrangement gives both parents access to the child and shared decision-making responsibilities (education, financial welfare, medical care, religion, involvement in extracurricular activities, etc). One parent will be named the custodian or “primary managing conservator” because he/she provides the primary residence for the child. The other parent will be the “non primary conservator” and will get visitation per a schedule determined together by the parents or assigned by the court. Bobby Bourlon is a family law attorney based in Corpus Christi and also covering Nueces County and can help you with any issues related to spousal support and spousal maintenance in Texas. In any divorce case, there may be delays while agreements are being negotiated, or during preparation for any trial phases. This kind of delay can be a hardship on a spouse who may have been financially dependent and now must be self-supporting. Prior to the final divorce decree, a court may grant temporary spousal support so that the dependent spouse can maintain himself or herself. It is like temporary alimony pending the outcome of the case. The payments will be made for typical living costs, and will depend on lifestyle and actual needs. Once the final divorce decree is entered, there will be a new spousal support or alimony that is a part of that final judgment. If you are part of a divorce and need spousal support, don’t let the amount be left up to chance. Having an attorney who is experienced in spousal maintenance in Texas assist you with the application for support will ensure that you receive an adequate amount to live comfortably pending the outcome of the case. Bobby Bourlon is a divorce attorney who knows the method of obtaining maximum spousal support during the divorce proceedings, which can take months to finalize. We have flat-fee arrangements and payment plans for all divorce cases. Any legal matters involving children are bound to be extremely sensitive. Child custody and child support issues are among the most delicate matters of family law, and the results of these cases can affect both children and parents for years to come. The single most important thing you can do when you are faced with child custody or child support issue is to contact an experienced attorney. An attorney will review the facts of your case to determine where you stand and will passionately advocate for the best interests of you and your loved ones. At the Bourlon Law Firm, the needs of your children will be our priority, and we will go the extra mile to ensure that you are zealously represented throughout each stage of your case. You don’t have to face family law issues alone. 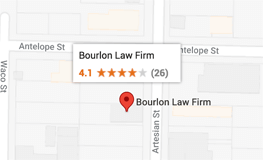 At the Bourlon Law Firm, we will provide you with the step-by-step guidance you need to be confident about your case, no matter what issues are at hand. Enforcement of child support payments is taken seriously in Texas. The tendency of supporting parents to miss payments or stop payment altogether has led to the creation of an enforcement tool with the Attorney General’s office. Delinquent child support payments can be withheld from the delinquent party’s income if the payments are not made willingly. The provision for withholding is often part of the original order for child support. It may not be used until there is a late payment, and it acts as insurance against delinquency. Any delinquent payments under a child support order are automatically become a judgment with the court that accrues interest, which is an enforceable part of the payment. In addition to these financial enforcement powers, delinquent payments of child support can be charged as contempt of court. A criminal contempt charge carries a jail sentence, but that punishment will often be suspended since it defeats the purpose of ensuring payments from work income. If you are behind in child support payments and facing enforcement actions from the Attorney General’s office, you need the counsel of a family law attorney to guide you. As long as you have any assets or income, you can’t avoid these payments and could even face jail time. Bobby Bourlon is a veteran family law attorney who can help you catch up with past due payments by arranging a plan that works. You can avoid liens and attachments of property, and the embarrassment of wage garnishment from your employer. Please call today for a free consultation at 361- 289-6040. In family law, modification of orders occurs when the supervising court changes the existing orders of child support and visitation. A court may modify orders on its own for the best interest of the child, or at the request of one or both parents. Modifying orders of child support have different requirements, and the minimum amount of child support is set by statute. Only future payments can be modified, and past support orders must be adhered to in the case of missed payments. There is some latitude to change child support orders after three years, or if the income has changed substantially. Any change that would either increase or decrease support by 20% can be reviewed and modified. Due to the personal and financial effects of modification of orders, a parent should be represented by a family law attorney with experience in the Texas statutes and rules surrounding modification. Any modification will be binding with the same force as the original orders, and should not be taken lightly. Bobby Bourlon has the background as a family law attorney to make certain that any modifications to orders do not compromise the rights of his clients. In some cases, a request for modification may not be supported by the facts, and he will force the other party to show that a material and substantial change has occurred. Enforcing court orders is especially important in family law where there are issues of financial payments and child support at stake. In general, the court has the power to enforce all aspects of a divorce decree if one spouse ignores the mandates in the final judgment. If you ignore a court order, a contempt charge could be brought against you, which in some cases carries a short jail sentence. It is critical that the final divorce decree be highly specific in the actions that are required, so that there is no room for ambiguity. Payments must be specified by date and amount, and visitation should detail location and exact timing. 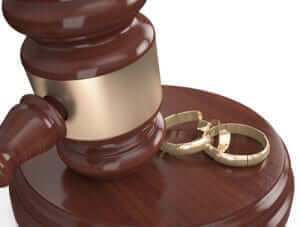 The goal of a court enforcing orders from a divorce is not to send the other party to jail. The court wants to have the ex-spouse abide by the divorce decree and make the payments required. Even if one is contempt, it is unlikely that jail time will be the result. Instead, probation or community service may be substituted so that the party can work and fulfill the divorce agreement. Nonetheless, at times an ex-spouse may refuse to make basic payments, and in that case the court will be forced to step in. If you have been a part of a divorce and have failed to make payments, or your ex-spouse has stopped support payments, you should seek legal counsel to protect your rights. In either case, you have a final divorce decree that mandates action. Bobby Bourlon has spent many years as an attorney in family law, and he understands how to work with court orders and avoid non-payment problems or contempt charges. Before the situation becomes worse, please call for a free consultation at 361-289-6040. If you are charged with a crime of any kind, your future is at stake. Texas law punishes both misdemeanors and felonies harshly. If you are convicted of a crime, you could face jail time, incarceration in a state prison, fines, restitution, and mandatory counseling. Additionally, you will have a permanent criminal record that could haunt you for the rest of your life. If you have been charged with a crime of any kind, it is critical that you obtain seasoned legal help as soon as possible. An experienced criminal defense attorney has the knowledge and skills to craft a strong defense for the charges against you. With a dedicated legal team in your corner, you can face a court of law with confidence. Under Texas law, you have the right to remain silent in order to avoid self incrimination, and you also have the right to request an attorney at any time. You do not have to answer questions from law enforcement without your attorney present. 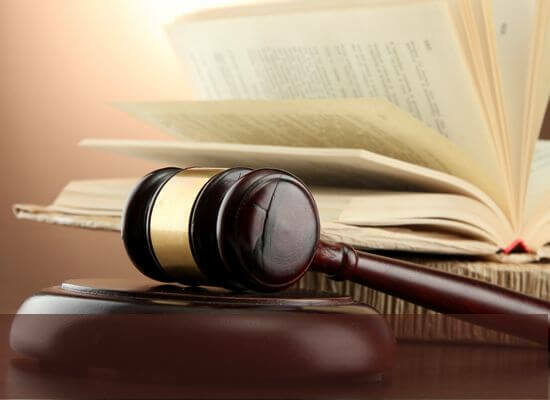 In order to secure your rights and give your case the best chance of success, it is critical that you reach out to a seasoned criminal defense lawyer in your area as quickly as possible. The Bourlon Law Firm has the expertise and resources you need for a unique defense strategy that is designed to bring forth a favorable verdict. Accidents occur when you least expect them, and even seemingly minor accidents can have devastating financial and emotional consequences. 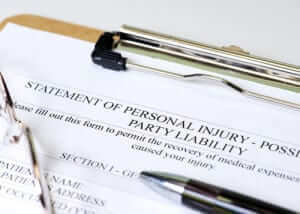 Under Texas Law, you have the right to bring a case forward for compensation if you or a loved one were the victim of an accident that was the result of the negligence of another person. No matter what type of injury you have, it is critical that you reach out to an experienced attorney as soon as possible. At the Bourlon Law Firm, we will fight zealously for you to receive the full and fair financial compensation you deserve after being injured through no fault of your own. Bobby Bourlon is a qualified and skilled attorney with a diverse practice covering many aspects of Texas and federal law. Bobby Bourlon works with a wide range of clients who are seeking a solution to the problems or conflicts in their lives. He is committed to helping people resolve their legal issues and return to a normal family and professional life. Whether you are being charged with a crime, seeking a divorce or attempting to recover money in a contract dispute, Bobby Bourlon is well-prepared to be your advocate against any opposition. He will fight for your right to liberty, compensation and legal remedies so that you can move on and restore your reputation and finances. Every problem has a solution, and Bobby Bourlon is well-versed in finding a way to help you when you are in trouble. 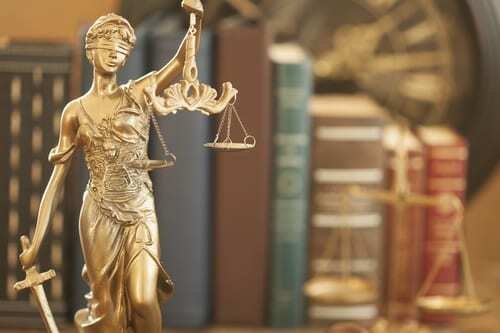 Although the expense of an attorney may seem to be a luxury, the result that you achieve in any case will depend on the quality of your legal representation. Attorney Bourlon wants you to have access to the best legal counsel and offers payment plans to anyone who needs legal help right away. His flat fee arrangements in family law, probate and criminal defense allow you to know the exact cost of his representation. There will be no surprises or hidden expenses, and you will be treated as an important client with very real problems. If you are unsure if you need an attorney, please do not hesitate to contact us. Your initial consultation is free and you will have no obligation. Please call today to make an appointment to discuss your case at (361) 289-6040.